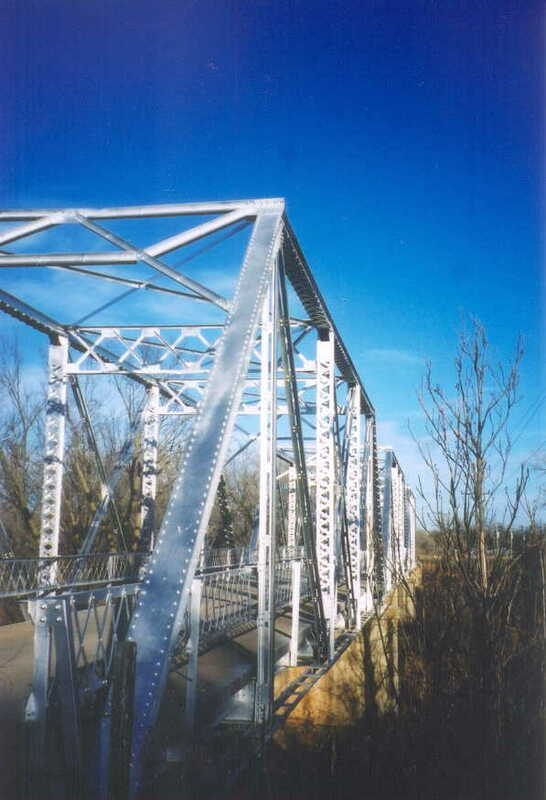 Canton Bridge across the North Canadian River, Blaine Co. 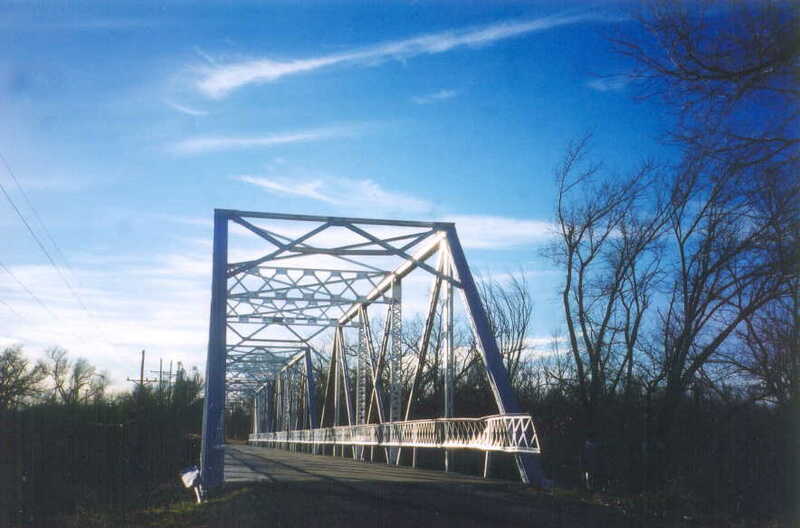 Built in 1915, this bridge has had something recently we wish all of Oklahoma's truss bridges could have: NEW PAINT!!! and in the original color too!! 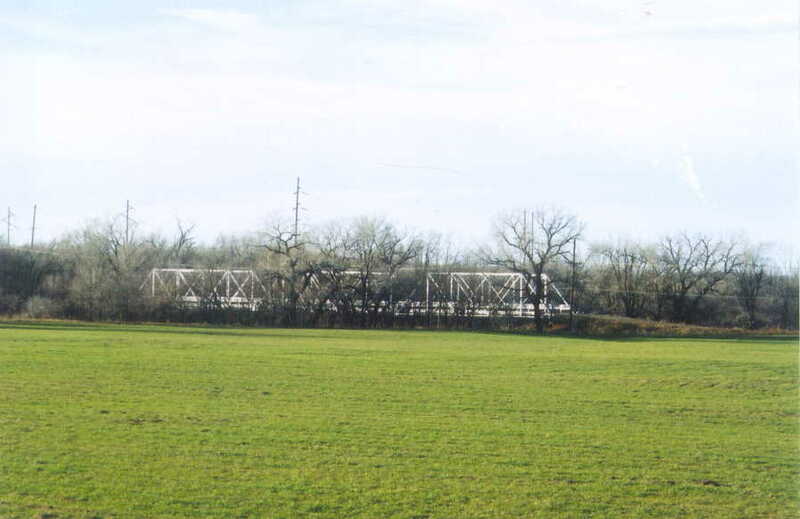 This bridge is located on the east edge of Canton, Oklahoma. Looking good in the winter sun and with a new looking concrete deck are three 100' riveted Pratt truss spans across the North Canadian River. Above we see the bridges from OK 51. The present OK 51 bridge across the North Canadian River was built in the late 50's or early 60's, so it may be possible that OK 51 used this bridge before that time. Below, a tight angle side view. The lower chords are angles. The bridge rests on poured concrete piers. To our delight, the fresh silver paint catches the sun. Below, another portal shot. 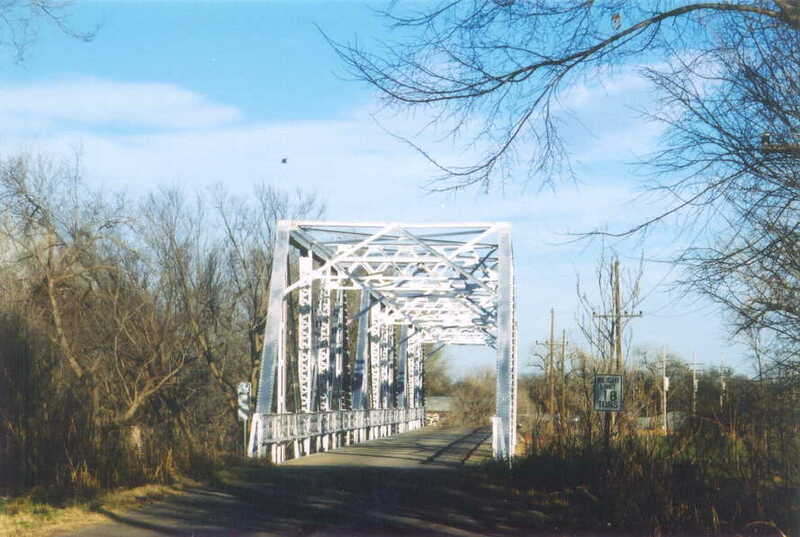 These three spans are excellent and well-preserved examples of riveted thru-Pratt spans. As the sign in the first picture shows, their weight limit is 18 tons. They should be in service for many, many years to come!